YourLastHost products provide enterprise performance at just a fraction of the cost. Our cPanel web hosting offers excellent SLA-guaranteed uptime, daily backups, full management, and support along the way. Fully Loaded Reseller Accounts - Everything you need to provide reliable white-label web hosting services to your clients worldwide. Our virtual private servers are fully customizable complete with root access and both OpenVZ and KVM virtualizations. 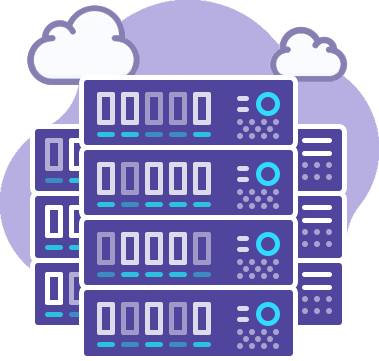 Our dedicated servers provide true performance, optional management, and SLA-guaranteed uptime. Every great project begins with a great domain name. We'll be Your Last Host, ever. You'll love our web hosting so much that you'll never want to leave! Your website is too important to be offline. That's why we offer a 100% uptime SLA guarantee. We are confident you will love our services, so we provide a 90-day money back guarantee. Top of the line and highly-redundant hardware for maximum server stability. We are available 24/7 to solve any problems and answer any questions you may have. All servers have optional DDoS Protection that can be added at any time. We take proactive measures to ensure your website is online and functioning at its best. All files are protected with industry-leading RAID arrays for ultimate protection. No matter where your audience is located, a server from YourLastHost is always nearby. I started using this host since November 2017. Infact they have the best response system I have seen so far. I had to blog about them here. I was so fed up with my last host company. By the way I just renewed today and I have brought in about four people using same services and enjoying it. I have decided to drop a line about my experience with YourLastHost. Overall it's positive. They have a 100% uptime guarantee, 90 day money back guarantee and stable servers with affordable prices. Their technicians are always online, even at night hours. Plan to stay with them as long as possible. Believe me or not but Yourlasthost is the best hosting provider for me. It's a fact! They have really a 100% uptime guarantee and proactive service status checking. Live chat help & support is beyond praise. All works perfectly well for me. Great host with cheap prices. I had no idea how to start my blog and how to add in an e-commerce component, but YourLastHost helped me with everything from the initial WordPress set up to guiding me in how to perform normal site maintenance. In over 6 months there has been zero downtime and my site loads fast! Latest posts from the blog. Our Thoughts and Opinions on Various Topics!